-Pitching, hitting and the ability to field a team full of adults continue to elude the Master Batters. There are (limited) signs of life, though, as Jim McElhatton has jumped out to a 3 homer start, good for third in the league. -*Dupont Circle Jerks’* newcomer Brett Bigler, considered a slightly above-average hitter in the Freaky Franchise league in upstate New York, seems to have immediately become one of the 5 or 10 best hitters in the league early in his PWL debut. What this portends for the PWL’s already glim chances in the NWLA remains to be seen, but uhh, it can’t be great. Still, the Jerks look like a team that’s a player away from true championship contention as they defend their title without hired gun Jim Shannon. -Where do we even begin with the Twits? Through the first third of the season the squad has combined for a lone double as their sole extra-base hit. Couple that statistic with Hudson’s choice of sweatpants, and this iteration of the once-proud Twits looks more like the cast of HBO’s ‘Girls’ than the one that scored a colossal World Series upset over the Barnburners three years ago. That title now feels like a distant memory (we can’t count their victory in the inaugural Fall Tournament last year until there’s any proof whatsoever that the tournament actually happened). Their lackluster performance so far this year leads many to believe that the once power-hungry duo of league commissioner Greg Hudson and commissioner-elect Stephen Crawford have since grown complacent. A truly sad end to an inspiring underdog story. -The Old Town Barrel Bruisers (better known as the Cross-Fit Dudes) have stumbled out to a slightly disappointing 2-4 start, although there are signs of life as this group learns the intricacies of the game. Skipper Jerry Hill has put together an impressive .405/.568/.973 slash line early on after debuting in the tournament that may or may not have happened last fall. Couple that with the play of equally physically imposing Ryan Doeppel and it’s not hard to see signs of a competitive squad if you squint hard enough. Speaking of squinting hard enough, it may appear on the surface that the Bruisers have violated the unwritten rule of not identifying themselves through the use of a team uniform, but if one looks closely, you’ll notice that every article of clothing they wear dons the Gold’s Gym logo. Did they mention they do cross-fit? - After reaching the postseason in 2 of the previous 3 seasons (seriously, look it up), the Janitors have proven worthy of their moniker once again. Led by PWL iron man Kirby Valladeres, the Janitors have started off their 2017 campaign by scoring 7 runs in 6 games- shockingly, half of which came off of three solo home runs off of Blandsford Barnburners ace Colin Gannon. Despite hitting 4 homers as a group, they sit next-to-last in slugging percentage, just above the homer-less Twits. They’re also either dead last or second-to-last in ERA, OBA, K/6, and HIP. Every team seems to run into the dreaded “Year from Hell” if they stick around long enough (see: Blandsford Barnburners spring 2010, DC Twits spring 2016, and Superman’s Wheelchair spring 2014), and this just might be what we’re seeing from the Janitors. Unfortunately the schedule doesn’t figure to get any easier as their next three are against the defending-champion DuPont Circle Jerks and the Barnburners twice. Unless they can replicate their offensive magic against the likes of Gannon and Jerks pitcher John Hamlett, they’ll need to make sure to turn out the basement light when they’re done sweeping up. -Which leads us to the two teams that seem to have distanced themselves from the pack early on. We’ll start with the “new” Strike Force, led by mercurial if not totally bored/going through a mid-life crisis manager/ace Adriano DeSorrento (now on his 3rd self-created team each outfitted with logos, uniforms and Twitter accounts, and that doesn’t include the immediately-defunct Jungle Jims). The Strike Force have ridden an early offensive breakout from Jeff Nitto to go along with DeSorrento’s usual wizardry on the mound. They’ll need to find ways to get regular contributions from a third player, however, with a rotating cast that includes Nick West (pulling his usual week-by-week disappearing act), Matthew Curtin (described by DeSorrento as the league-average player the WAR stat is based on) and Nick’s cousin, who after his week 2 debut Adriano may or may not be, but totally is, figuring out a way to convince that the season was cancelled and refund his registration fee. Still, a core foursome of DeSorrento, Nitto, West, and Curtin should be enough to get them to the World Series barring unforeseen and untimely absences from multiple players. They’re currently leading the PWL in slugging and OPS, and are tied for the league lead in homers. On the mound, arguably no team can match the 1-2 punch of DeSorrento and Nitto in a playoff series, where offensive stats seem to disappear (they’re already at an all-time low now, as S.F. is currently second in the PWL in runs per game at an explosive 2.6). Their ultimate fate, however, may rely on “the best ability” (availability), as the 4th seed in the playoffs figures to be much weaker than the 3rd seed. As we saw last season when the 3rd-seeded Besley Bashers shocked the #2 Wolfpack (leading to the franchise’s ultimate demise), while the top-seeded Jerks cruised to a round one victory against the overmatched Janitors…seeds matter. The difference between the 1 and the 2 seeds then was a controversial home run off the bat of then-Jerk Jim Shannon, and this year who is able to physically show up to the Moose Lodge for the Strike Force’s matchups against the Blandsford Barnburners will figure just as crucially as that home run. this group (they always have been; see game 1 of the Spring 2015 World Series), as Ty Fletcher was ejected after facing 5 Janitors in his start on Sunday. Former ace Jake Tomko has been kept in the stable so far as he eases himself back from a 5 year absence, but he figures to get a crack at the rotation as they prepare for the stretch run. 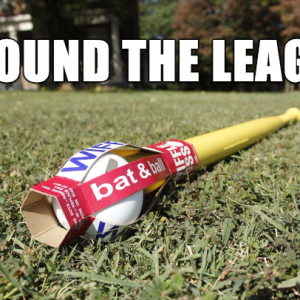 Expect the Barnburners to cruise through the regular season and snag the top-seed for the playoffs, but also keep an eye on their lack of reliable pitching depth and timely hitting as they strive towards their 7th World Series title. TLDR: The Barnburners and Strike Force look to be on a collision course for a heavyweight battle for the title, while the DuPont Circle Jerks hope that the combination of their early-season power surge coupled with some untimely wedding hangovers push them into the championship conversation. Elsewhere, we’re keeping an eye on the Barrel Bruisers potential to become a threat as they learn the rigors of the game and the Twits’ potential to spiral into dysfunction as Crawford’s checking account goes through more withdrawals than a Glebe Road crack addict.